P2P lending has revolutionized the financial sector in India. Sanctioning or granting loans is no more just a bank’s job. Over the years, as more people are becoming interested in borrowing and lending online, this industry is growing. To regulate the industry, the Reserve Bank of India (RBI) has released certain rules and regulations for the functioning of P2P lending NBFCs. In regard to this, the main feature includes adequate disclosure, registration, minimum funds required, etc. One should take a look at the 5 essential RBI rules before investing, even though p2p platforms are known for their low-risk investments. 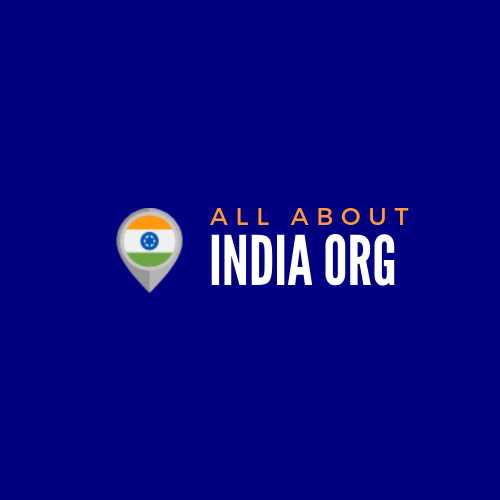 Do the P2P lending platforms have NBFC Registration? The p2p lending platforms have now been categorized under the NBFC category (Non-Bank Financing Company), making it essential for these companies to register themselves under the Department of Non-Banking Regulations, Mumbai. Through this aspect, there will be a legal eye over these companies without hurting any of the decentralized aspects of them lending the money. Through this factor, one can eliminate frauds and also catch the loan defaulters. The companies, through this criterion, can also establish their credibility among customers. Because the p2p platforms have the legitimacy of laws on their side, they can tap into it as a USP. Hence, before investing, one should look up if the p2p lending platforms are registered or not. If a company wants to become a P2P lending NBFC, they must have a Net Owned Fund (NOF) which should be INR 2 Crore or greater. RBI wants to focus on the ability of the P2P lending NBFCs to inculcate a good financial standing. A new set up requires ample investment in technology and marketing, funds are needed to manage the initial expenditure. The p2p company will also need to manage the unforeseen expenditure where an NOF will reduce the risk. This will also further ensure that the company will be able to handle any setbacks i.e. losses, which specifically includes unpaid loans and defaults at any point of their operation. This will give a robust financial stand to these platforms. 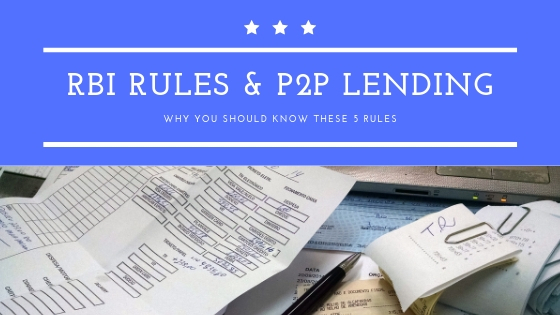 The p2p lending platforms should create and manage two separate escrow accounts where one will be for the disbursal of funds by the lenders and another will be for the money repayments from the borrowers. These escrow accounts should be overseen by the bank promoted trustee. A major benefit of p2p lending platforms is that the borrowers can get access to speedy loans. By creating separate accounts, there will be faster and transparent transactions as well as smooth functioning. The money from lenders will come into one account for the disbursal and on the other hand, money will be collected from borrowers in the repayment account. Since these will be escrow accounts managed by the trustee, there will be no chance of any syphoning of the money by the platforms for their own usage. There has been a set of rules which has been regulated by RBI for lending and borrowing. 1. At any point of time, the borrower can only borrow an aggregate of INR 10 Lakhs, across all the lending platforms. 2. The borrower can only borrow an aggregate of INR 50,000 from a particular lender at a particular point of time. 1. At any point of time, the investor can only invest a total amount of INR 10 Lakhs across all the lending platforms. 2. The investor can lend an aggregate of INR 50,000 to a particular borrower across all the lending platforms. This limits the abuse of easy access to funds which the industry provides to the borrower. Through this regulation, the companies are solving a host of borrower loan issues, which were previously ignored. The p2p lending platforms are required to submit the operational data, which includes the transactions, money in and money out, etc. to the RBI. It is important that there should be an assessment of the company’s regular working and its consistency or else there could be one-off traffic which could lead to huge scams if it is not watched upon. Thus, all these aspects will make sure that there is proper adherence to the above mentioned guidelines, thus assuring smooth flow of transactions.